Leo Bryant's inspiration and motivation to do what he does comes from the little town he was raised in in Southwest Florida by the name of Immokalee. With a population of less than 5,000 people and heavily populated by immigrant migrant workers he witnessed and encountered a unique blend of cultures and work ethics. In addition, being raised by a hard working single mother and grandmother, it became evident to Leo at an early age that nobody just gives you anything in life. He witnessed ... Más informaciones his mother work two and three shifts daily for years, as well as be mistreated by friends, family, and the church community, in addition to his grandmother working just as hard for years to help make ends meet. As Leo matured being the oldest of 8 children, he was naturally forced to grow up at an early age and do whatever it took to assist his parents in feeding their family and learned what it meant to lead by example in school, in life, and on the athletic fields. 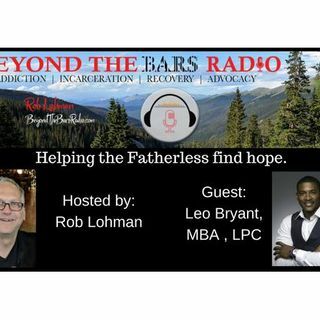 …Present day Leo works feverishly to establish a counseling practice that works to serve as a light in the darkness for individuals regardless of their race, gender, socio-economic status, and culture that will teach and guide individuals to overcoming diagnosed and un-diagnosed mental health challenges as well as getting past rough spots through their personal and professional lives. Speaking as a father of two beautiful sons, co-parent & partner to a remarkable woman, and son and brother to an awesome family Leo challenges you to step outside your box and embrace change welcome knowledge, love, and wisdom into your life.